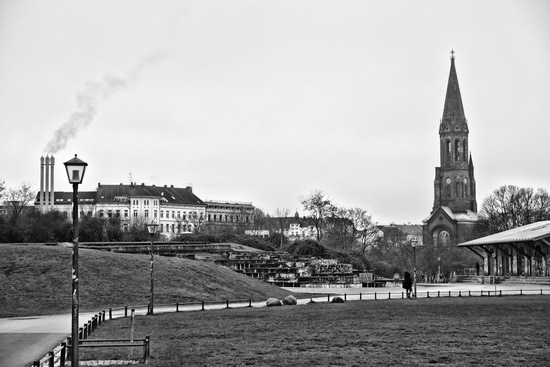 Another perspective of the Northwest end of Kreuzberg’s Görlitzer Park and the Church in the distance. A view of the Northwest end of Kreuzberg’s Görlitzer Park with the Church in the background. 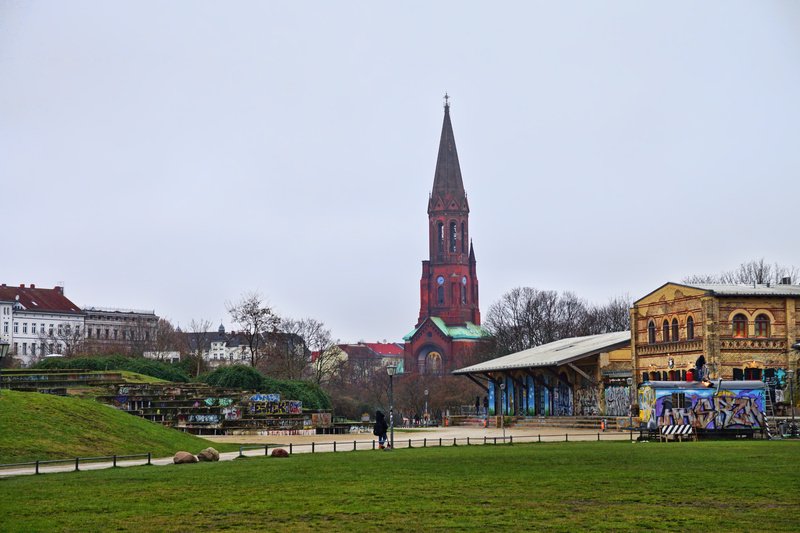 The buildings on the left are remnants of the former Görlitzer Bahnhof.